KESO UTICA is a finishing material combining carbon fiber and diatomaceous soil, generating no VOC and having insulation and thermal isolation. Available for use on a variety of surface. 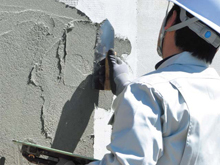 KESO LIME is a finishing material for interior works, combining carbon fiber, diatomaceous soil and LIME aggregate, having insulation thermal isolation, condensation prevention, and humidification and deodorization functions. Available in 32 colors and 4 types of finishing patterns. Easy maintenance and repair. KESO RUAN is a low price interior finishing material combining carbon fiber and diatomaceous soil. 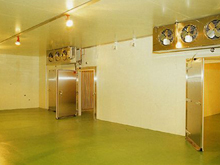 It can be coated directly onto plaster board and has antibacterial character. 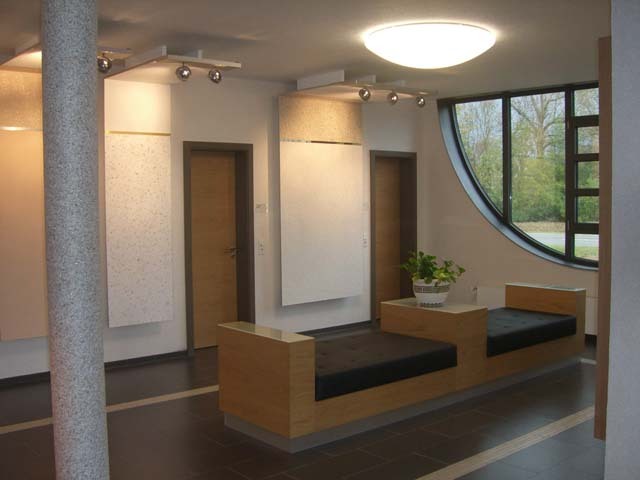 ORIENTAL COAT is the wall & ceiling covering material made of carbon fibers, giving it a distinctive textured finish. Oriental Coat will act as a thermal and acoustic insulator. By using the unique cement, the design, durability and constructability are greatly improved. Ability to work indoor due to requirement of minimum use of water. COLOR CONCRETE applies concrete floors for factory, warehouse, office, shop, school, pavement etc. 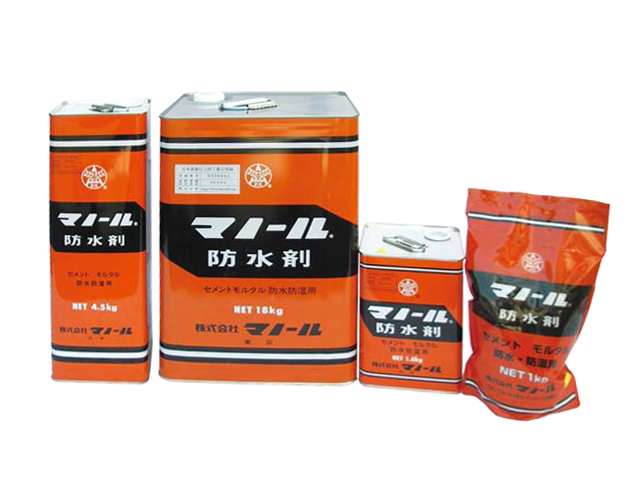 It provides excellent hardwearing properties, strong resistance to water and oil, and beautiful finish. No Peeling. 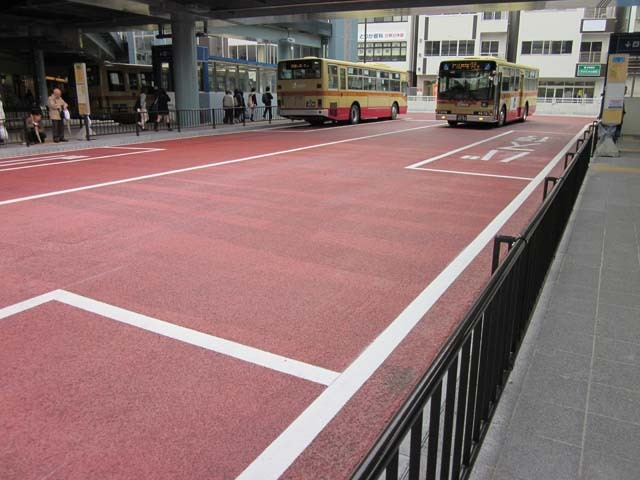 COLOR STUFF is a cement grout for semi deflective pavement surface. 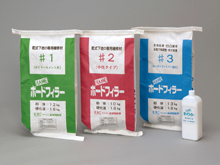 It is pre-mixed, thus requiring management of watering only for simplified application. Depending on the available work period, there are super fast hardening, fast hardening and normal types. A variety of color is available to match diverse urban environments. Stamp designed flooring, creating the solidity of natural stone, chopped face of natural slate, brick-like surface or the looks of wood patterns. 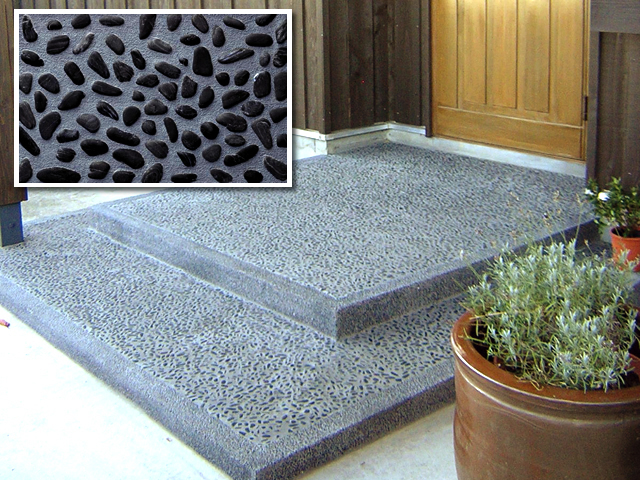 A pattern mat is applied to the surface prior to hardening to create the rich texture. Aesthetical looks are harmonized well with urban streets and environments. 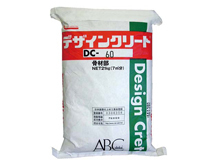 "DESIGNCRETE" (blended with concrete) and "PASTE DESIGNCRETE" (retrofit type for refurbishment) are available. 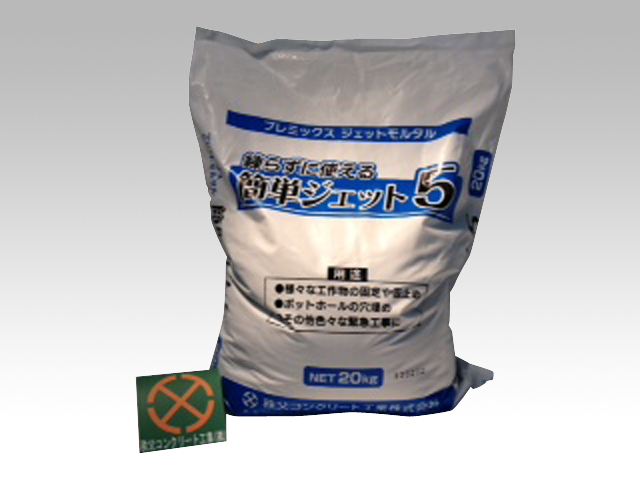 A coloring agent for cement and lime with excellent weather resistance property, containing no chemical. 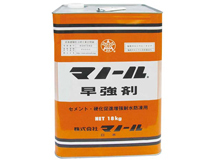 Will not affect the solidification and hardening of cement. 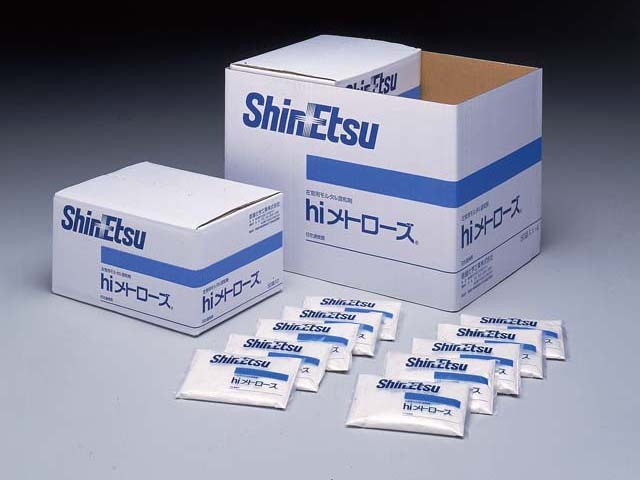 hi MRTOLOSE is a water-souble polymer made form highly purified pulp,commonly called methylecellulose.It has excellent workability and high water retention which are necessary for tile setting and plastering,and greatly improved solubility. A cement curing accelerator, enhancing the cement hydrolysis and early strengthening, enabling urgent cement works, early demolding, reduction of curing and work time in low temperature environment. 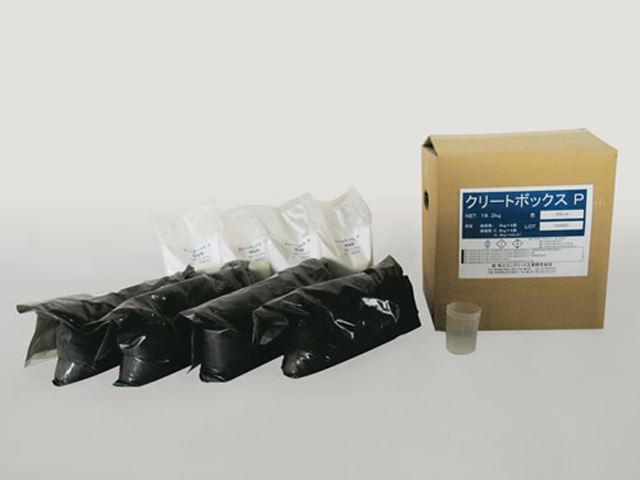 Surface preparation material, efficient in prevention of crack due to synergy effect of carbon fiber and acrylic polymer. 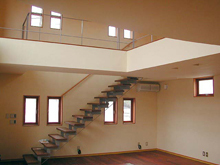 Adhered on gypsum board, mortar concrete, plywood, and steel to create strong and smooth plastering surface. #1 for interior and exterior use, #2 for interior works only, #3 for interior and exterior use. Crack and shrink prevention type. 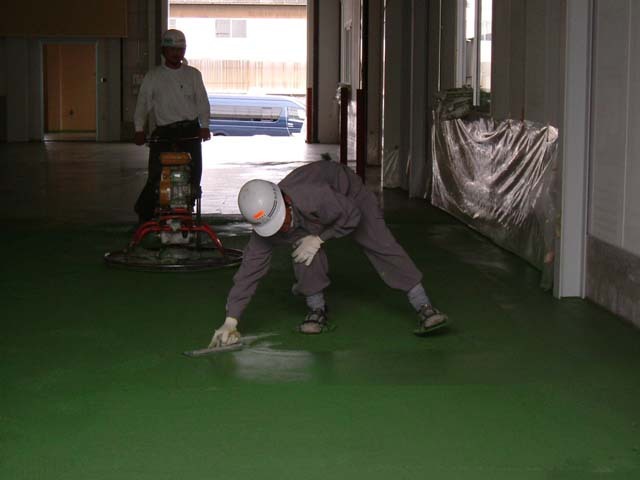 Thin coating type surface preparation material is suitable for floor, wall, waterproof surface, and many others. 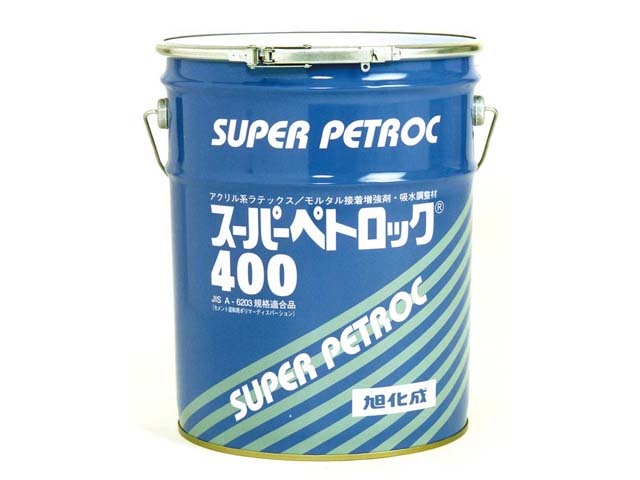 Used for repair of floor crack and uneven surface, outdoor concrete floor, and for title adhesives. It provides water/solvent resistant, high water sealing, and quick curing. #11 for standard, #21 for fast curing,and #31 for ultra-fast curing. 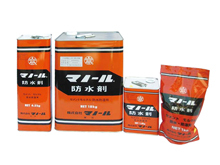 Thick coat type surface preparation material resisting harsh use environment. 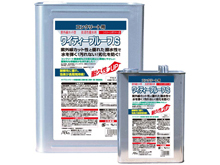 It provides water/solvent resistant. 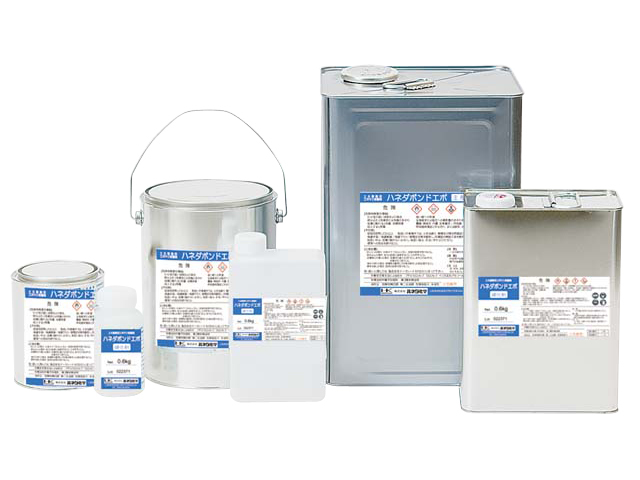 High water sealing, quick curing and scratch/wear resisting, applicable to exposed finish. Repair of title/uneven and cracked floor, old solvent based coat, greased floor. #13 for standard and #33 for ultra fast curing. Polymer cement mortar premixed with glass fiber. 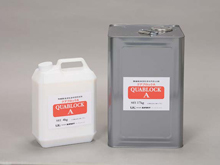 Crack/shrink prevention and high reduction performance. 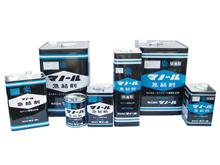 Application for dry base (cement board) and full surface preparation (polyurethane foam. 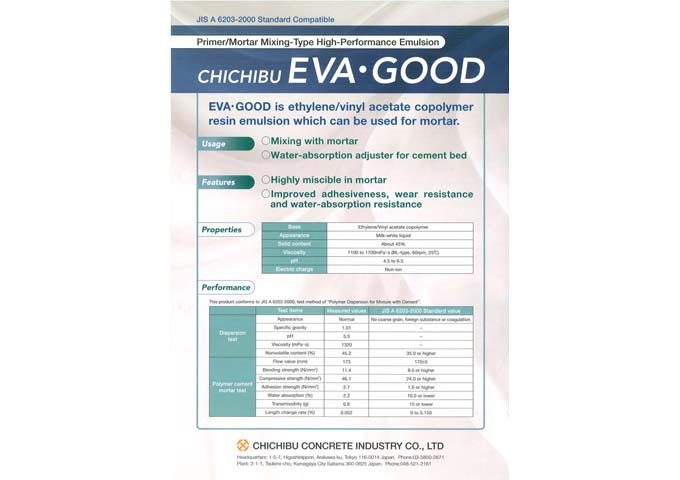 EVA-GOOD is ethylene/Vinyl acetate copolymer resin emulsion to be used for mortar. 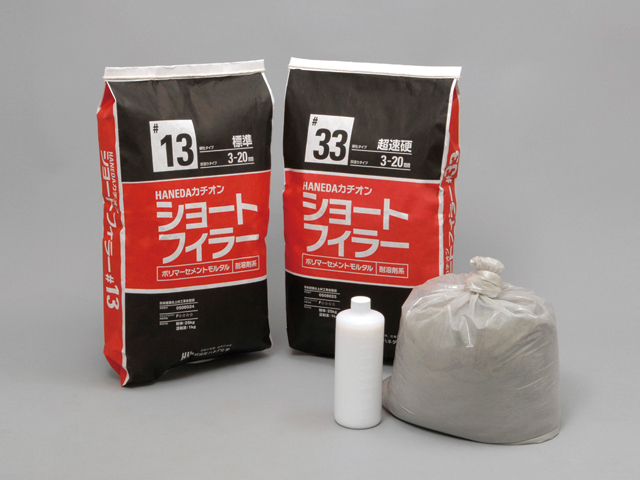 Application for mortar admixture and water-absorption adjuster for cement bed. 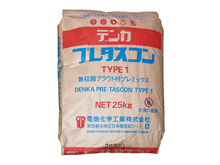 Highly miscible in mortar, improved adhesiveness, and water resistance & water-absorption resistance. 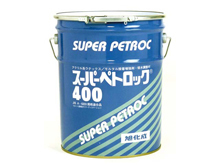 SUPER PETROC 400 is a cream type latex with no odor, greatly improved on admixture and inner/surface tension of mortar. Durability and alkali resistance is also high. With strong water subsiding effect, drying shrinkage volume of mortar is minimized. 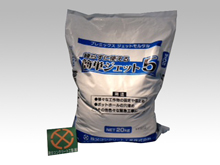 Effective on improving workability of trowel plastering. 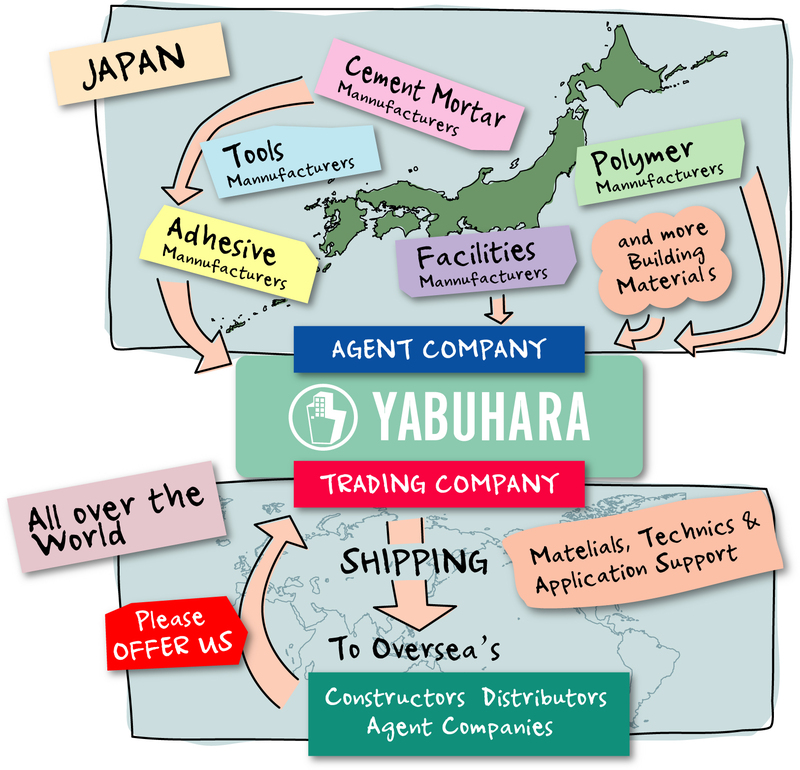 Adhesiveness to the base is increased for better waterproofing, neutralization/salt/rust prevention. 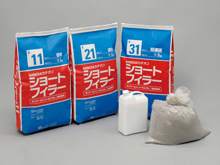 Adhesion to mortar is increased to preserve long term effect. Having excellent pore suppression of the SL primer to increase the surface strength. 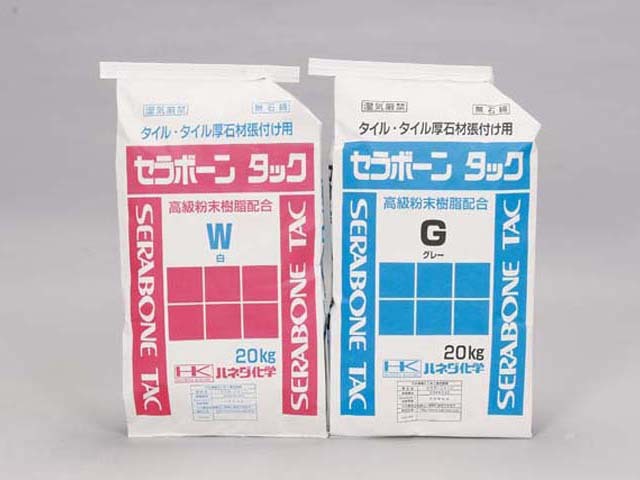 SERABONE TAC is a polymer cement mortar tile adhesive. 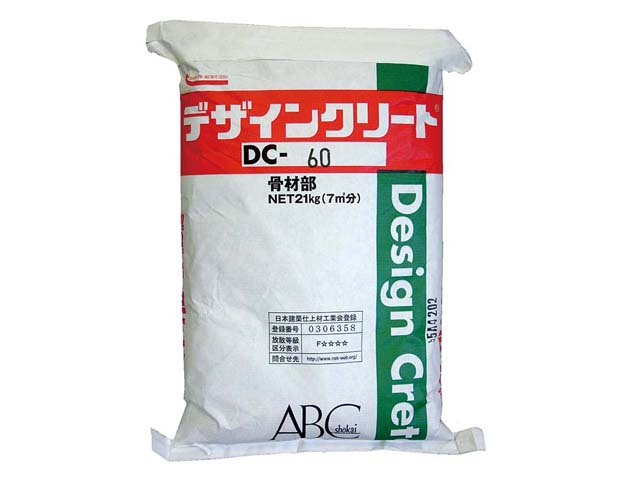 Ideal for adhering large exterior titles and stone material. By iron-plastering on the interior concrete mortar base or old tile surface to make the base, the large marble and granite tiles (300x300x12mm) and many other kind of tiles (including ceramic and porcelane) may be adhered. Tiles may be adhered over tiles. 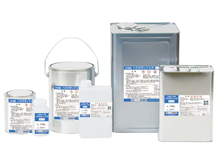 BOND EPO is an epoxy polymer primer adhesive, used as a primer of Short Filler, an ideal primer when refitting a hard-to-adhere FRP or greasy surface. 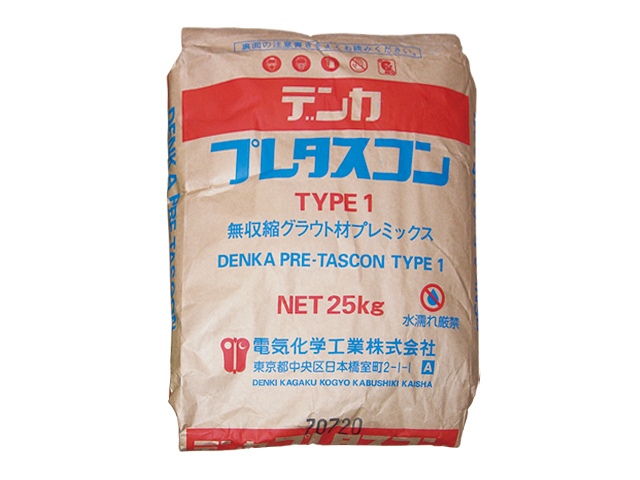 DENKA PRETASCOM TYPE 1-R is a pre-mixed non-shrinking mortar for grout with excellent fluidity and filling performance even at high temperature. PRETASCON brings forth perfect grouting by prevention of void and bleeding. 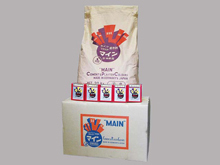 The curing completes with in only 1-3days and its high durability lasts long. After added water and stirred, PRETASCON is ready to use as non-shrinking grout. There is no need for void formation. Its workability and permanence surely saves time and money. 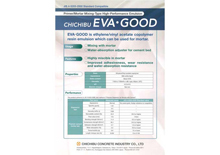 CHICHIBU provides excellent flowability and rapid setting repair material without any tools. CRETEBOX P is hand-mixing repair material. It is conformable for the substrate and hardly flaked. You don't even need a primer. Try CRETEBOX P to fill up a concrete hole or to level an uneven surface. EASY JET SPEED MORTAR 20 is extra fast set mortar. The aspect is fitted for emergency mending for concrete and fixing a fence, gate and sign to the concrete and various engeneering works. 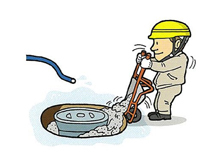 The easiest way to fix something to the concrete or fill up a pothole. Pour the water into a hole, and then cast EASY JET SPEED MORTAR 5 there. It sets in 10 minutes. For time saving and emergency work it is a great help. 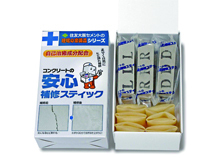 Handy Repair Stick is developed by original technology that shapes cementic powder without water. 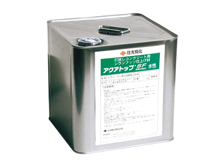 It is an unhydrated cementic particle compact. 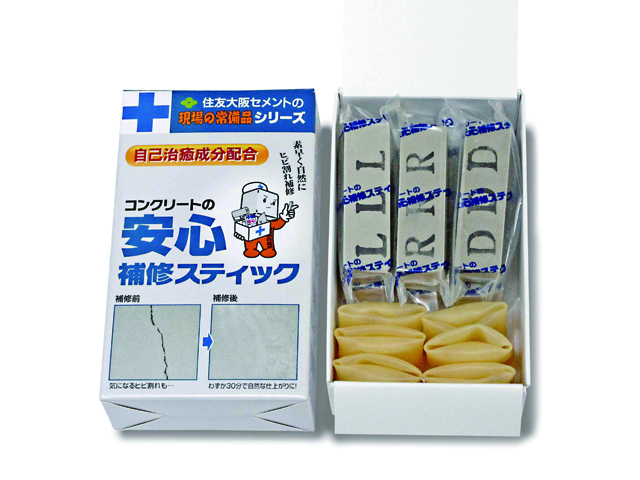 Try a Handy Repair Stick on unlighty cracks and pocks on the concrete surface. It will perfectly recover the surface appearence. Exterior surface preparation. 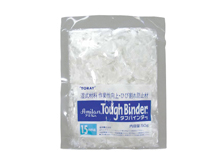 Strong against fire and earthquake, increasing the strength, durability, and water resistance of a house. 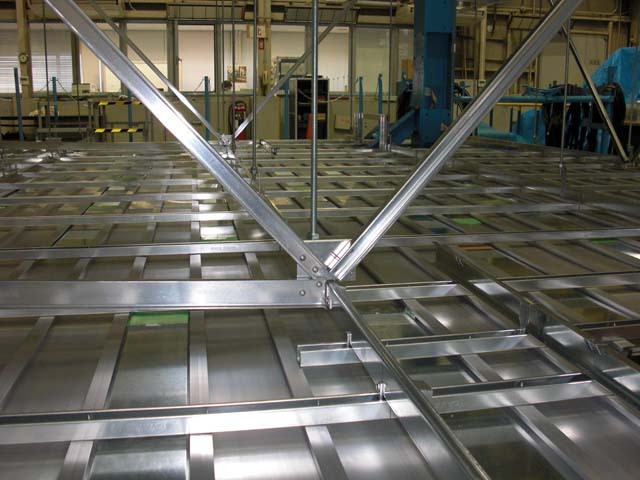 9 times more strength found in a comparative experiment compared to the conventional lath boarding floor. 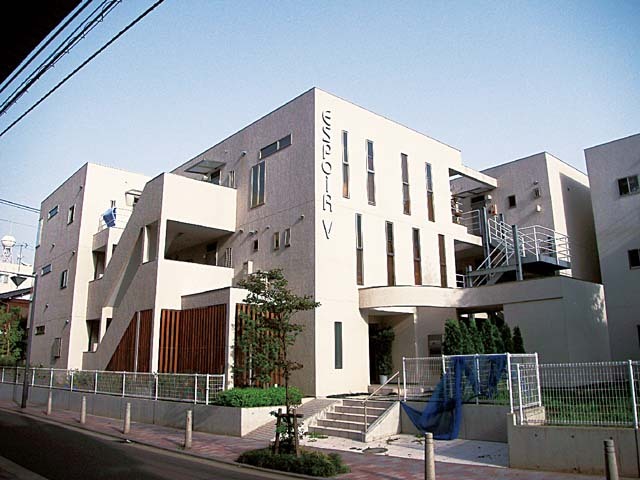 The entire structure is guarded like a box against typhoon and earthquake, proven in recent historical great quakes. 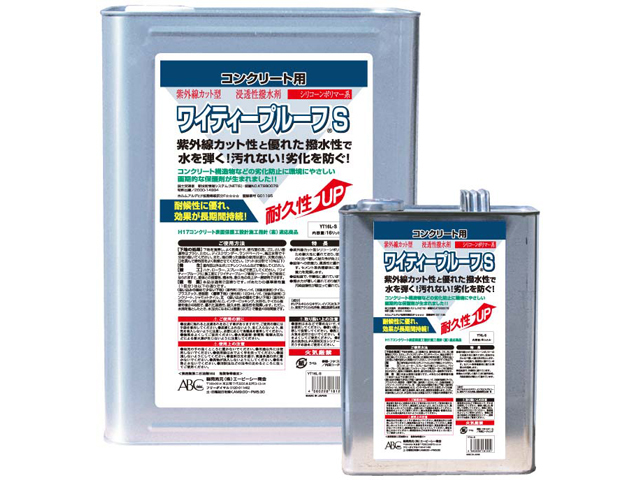 Ant/insect repellent preservative pre-treated using highly water-resistant adhesives. 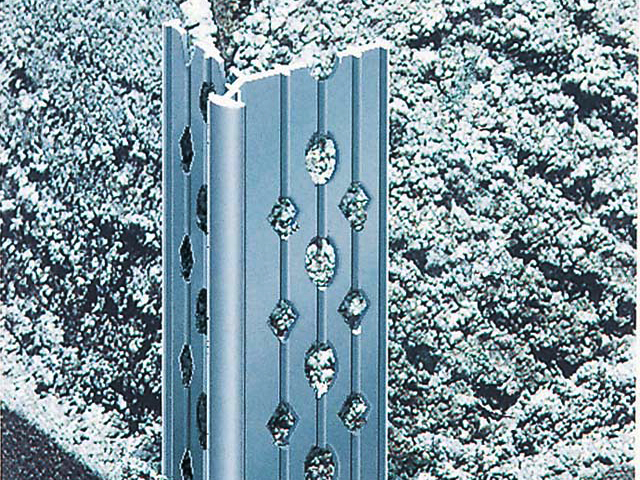 Preventing infiltration of rainwater using special waterproofing membrane over lath boarding surface and uneven joints of cement. 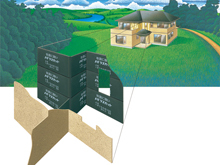 The unique irregular corrugated cement layer to increase the adhesion replaces the conventional mortar base (or interval) coating. A cement board in which a double sided glass fiber net cement mortar board and aggregated Portland cement mortar are used as core materials and having alkaline resisting glass fiber net embedded on both front and back side as a reinforcement. By using inorganic material and sufficient curing treatment been made after continuous molding, this exterior and interior wall base material has excellent dimensional stability along with fire/water resistance, freeze-thaw property, and durability. 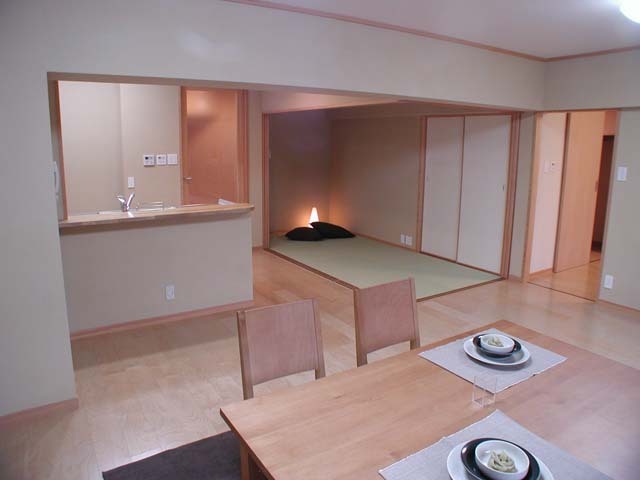 ASEISMIC CEILING provides safe and pleasant home. 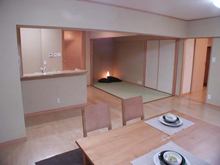 It helps to keep the space to protected the modern lives from being harmed with falling ceilings caused by rapidly occurring earthquakes in recent years. 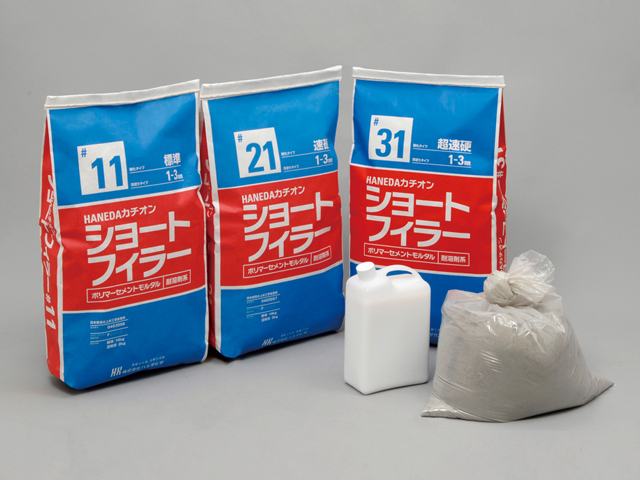 MANOL Water-proof Liquid is simply and economically usable to protect every concrete structure from water and moisture. It also prevents buildings from deterioration, it contributes to fine outlood and conservation of living comfort of a building as well as durabillity of the structure itself. 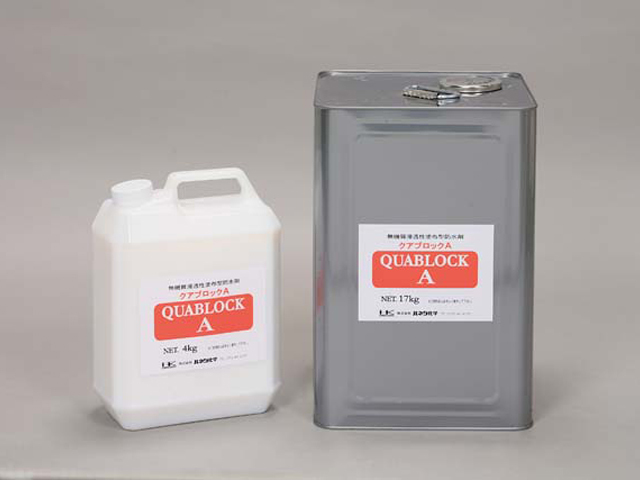 QUABLOCK #2000 is an aqueous and solvent free condensed silicon emulsion, may be used for cement, mortar finishing, water repellent of concrete structure, or a primer. A coating material for prevention of deterioration and kind to environment. 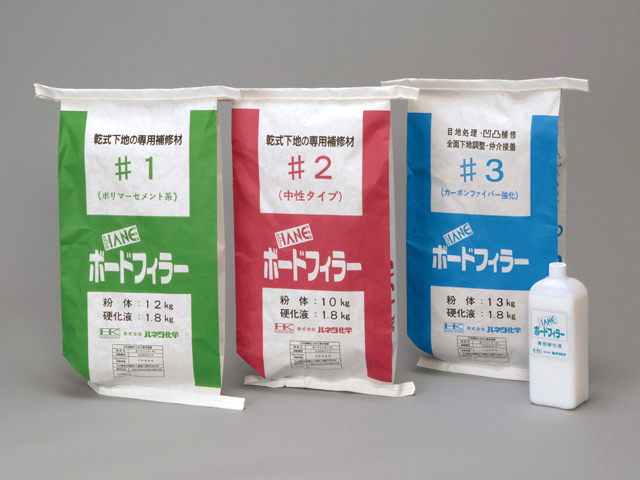 Emulsion type silane fluorine finisher having the quality of fluorine resin durability. 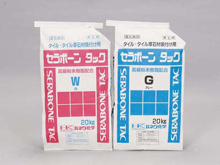 Silane for prevention of water absorption, penetration, efflorescence and breathability. Fluorine for prevention of concrete surface roughness, water repellence, durability and chemical resistance.Nonhazardous water based emulsion. The first silicon polymer wood protection coat. Thanks to its penetrative property, wood grain is preserved. Available in 9 different colors, cutting ultraviolet for high durability and weatherproofing properties. 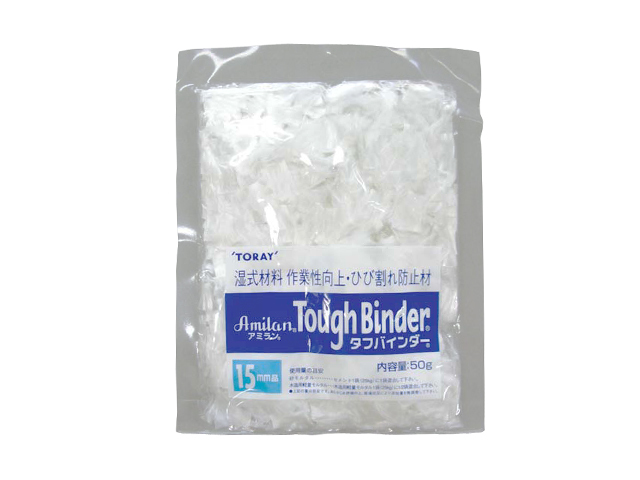 TOUGH BINDER is a high performance nylon filament, preventing cracks and peeling of cement, mortar, lime mortar, stucco, and plaster by mixing into each material. 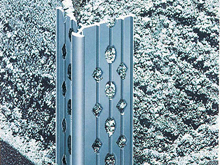 With its high water holding property, it controls the dry-out of the material to improve the trowel plastering. Nylon filament patching effect prevents the material from falling apart, thus keeping the loss of material at minimum when plastering. 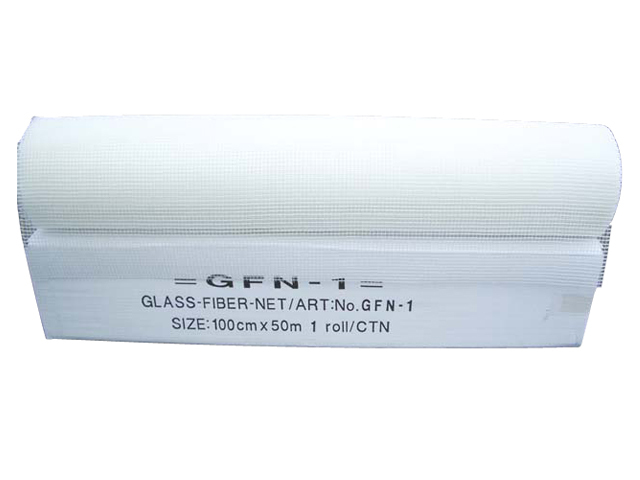 GLASS FIBER NET, crack prevention net series prevents cracks and partially reinforces the mortar during execution of works. 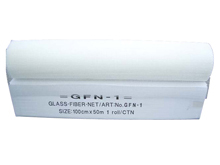 Due to preserve the vertical and horizontal tensile strength, glass fiber is entangled in net and adhered with resin. 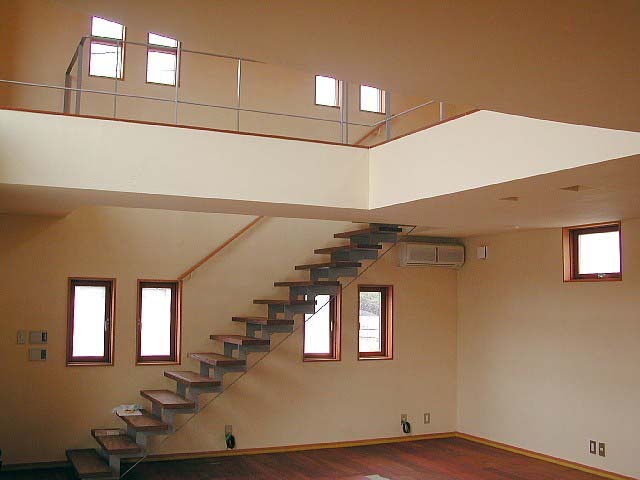 By applying ACRYLIC coating to flameproof glass fiber, alkaline property is enhanced. 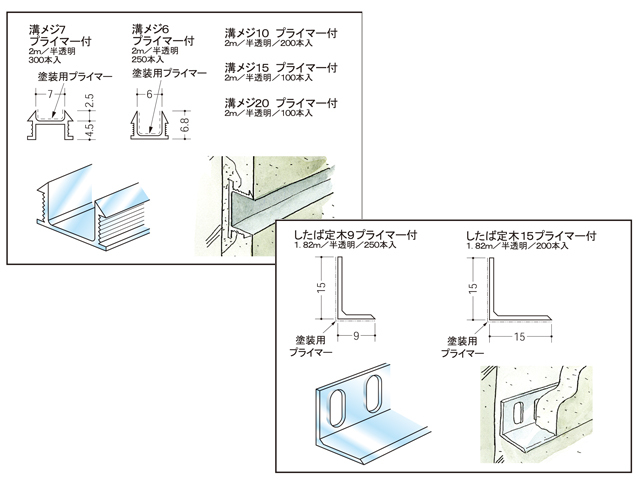 RULER is an expansion joint material. L-shape ruler, mortar concealed rulers, groove joint, MENGI (chamfered strip), joiners, decorative corner material, mold joint, curing cover, corner beads, stair step, concealed expansion joint material, etc. 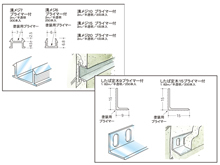 Channel Joint is a Masonry joint to be embedded in mortar wall. It prevents cracks on the wall to a minimum. After embedded, it would be easier to finsh the surface uniformly. 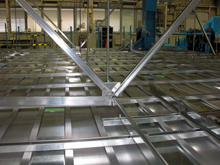 In addition recently Channel joints are often used in the various constructions because they enable a creative finish. The wall in which Channel Joints are embedded can produce great color. That makes architectures expressive. 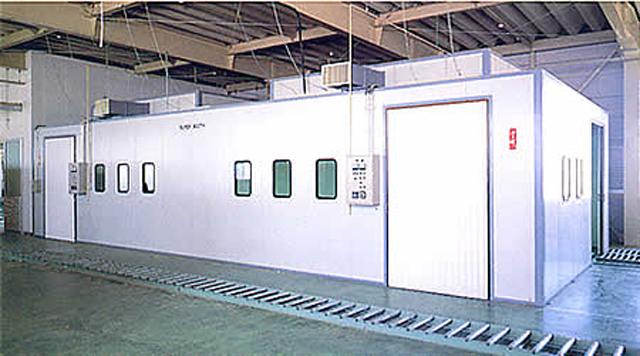 SOGO corp has been trusted as a manufacturer of panel boards and airconditioners for a prefabric freezer and refrigerator. This ceiling-mounted-type airconditioner unit is light and compact though, has a excellent refrigeration ability and so that it saves the limited space of refrigerator. 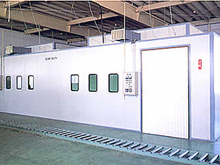 If a clean room is needed in your office or industrial space, SOGO's Clean Room Panels provides the best solution. The panels' sizes, materials and shapes have a many variation to fit the limitation of the planned site's space. Besides SOGO offers different selection of options to be attached the panel such as an outlet, a shutter, a window, an airconditioner and much more. Its durability and flame resistance are nothing to worry about. 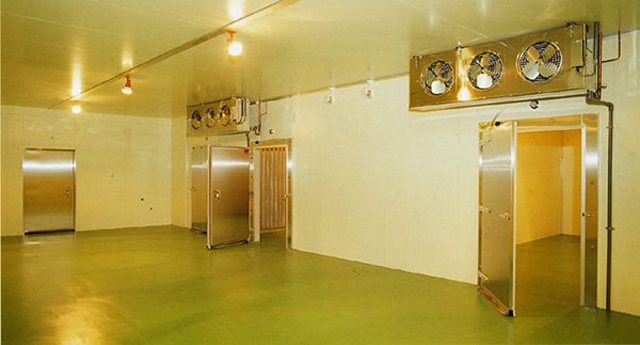 SOGO promises the best suited Clean Room for you. 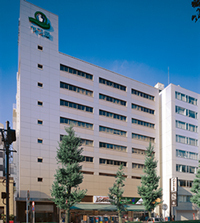 We were founded in 1901 in front of Tokyo Station by Tetsugoro Yabuhara as "Yabuhara Shoten (Yabuhara Store)". 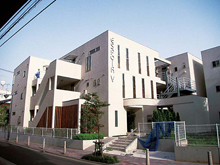 The location being one of the factors, a construction material store has been established to become what we are today. 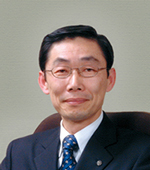 Since foundation, we have been subsisted by two principles of the management i.e. "Solidity" and "Fortitude". They were derived from the spirit of our founder's motto -- "Luck, Steadfastness, and Patience". These credos have been kept over generations and keep breathing amongst us today. 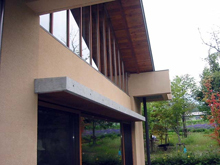 Our company originates its business in the traditional wall plastering cultivated from time immemorial, the old world of Japanese custom in wood and mud walling. We have been able to conduct our business over 110 years. Our sincere appreciation goes to the customers and suppliers who have consistently stayed supportive of us all these years. We wish for your unremitting prosperity and look for your continual relation with us. 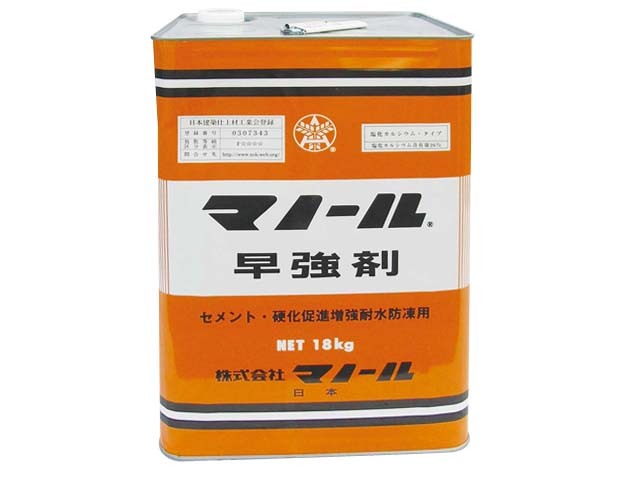 Copyright © 2019 YABUHARA CO.,LTD. All Rights Reserved.